It’s summer. We live in a campground surrounded by grass. I expect to be bite by mosquitoes. I stay prepared except for last Wednesday. I was visiting a friend. We sat on her back deck with no protection. I felt fine during Thursday day. However, when night came my legs started to swell with a mass of bumps. My skin was so irritated that I did not sleep well that night. I have tried everything to stop the itch – witch hazel, Benadryl, calamine lotion, miracle oil as well as a homemade essential oil mixture. All have worked for very short periods of time but I am still not able to sleep through the night. I am exhausted. It gets worse when I sweat or get wet. Showers have become very short. I am not trying to complain but explain. I lived in Georgia for 19 years. I have camped in a tent all over the United States. I have never experienced this level of discomfort from a mosquito bite. I grew up in Connecticut. I lived here for first 29 years of my life. Still I have never experienced this. I want to warn y’all to be prepared with bug spray if you visit southeastern Connecticut. The mosquitoes are no joke. I am open to any remedy you might have used to stop the itch. I need sleep. It is awful. It is Monday. 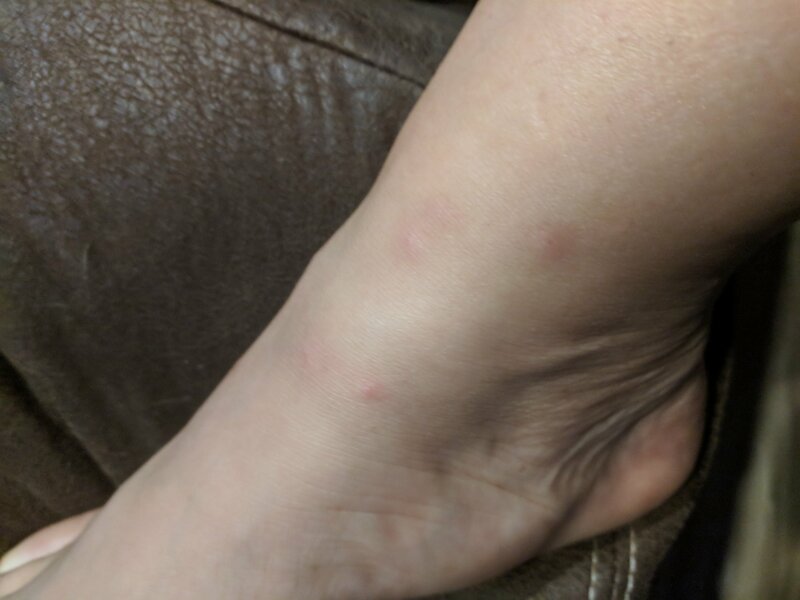 There is no way my leg should be so impacted from bites. I can’t stand to have clothes touch my bites. Unfortunately, this has happened to Edonna as well. She stated it took a week before she started to feel better. I know that I am near the end of the discomfort. These zombie mosquitoes got to go. Be careful out there! Oh wow! I sure hope you get better. Try Calamine lotion also to help with the itching. Benadryl usually is the best. So sorry. Hey Jowanna, did you try Tee Tree oil? 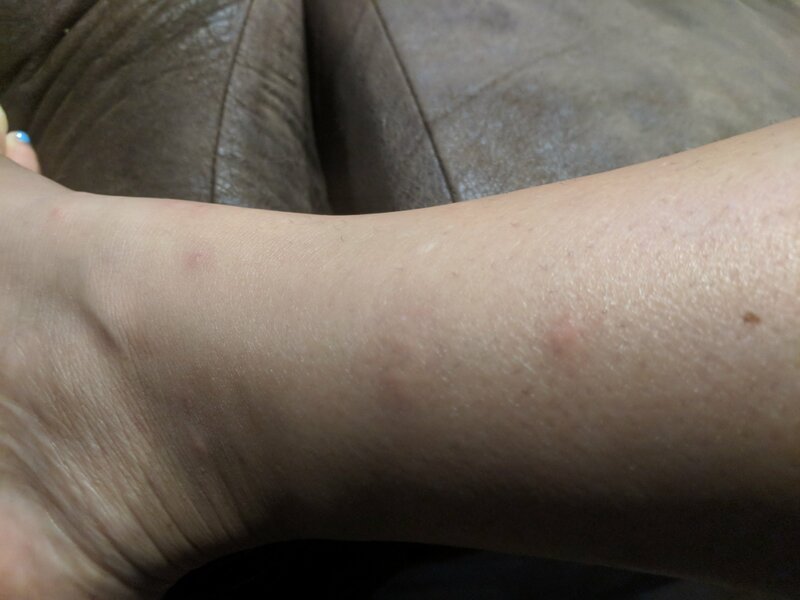 The mosquitoes down here in South America have caused me weeks of discomfort. The Tee Tree oil gives temporary relief. I hope you’re itching has stopped, or will stop soon.